While you may think that your garage opener needs to be replaced, it may simply be an issue with your remote or wall button. At Precision Garage Door, we service remotes and wall buttons for all brands of openers and our trucks are fully stocked with replacement parts. Our technicians are happy to help with reprogramming or replacing a remote or wall button. With Precision only a phone call away, you’ll never be stuck for long! My garage door begins closing, then reverses when I use my remote or button. There is something blocking the door from opening or closing. Check around the sensory beams along the bottom of the garage door. My garage door won’t open when I press the wall button. Check to make sure your remote is working. If your remote is working but your wall button is not, your button may be disconnected from the garage door opener. My garage door will open/close with the wall button, but not with my remote. You may need to replace the batteries in your remote, or the remote itself may be malfunctioning. My garage door won’t open when I use my remote or wall button. Check to make sure your motor is getting power. If the motor is plugged in, your garage door opener may need to be repaired or your remote or wall button may need to be replaced. My garage door only opens or closes half the time. If your remote and button are both functioning properly, you may need to have your garage door opener repaired. I replaced the batteries in my remote, and my garage door won’t open. Check to make sure you are close enough to be in range of your garage door. If you are, your garage door opener or remote may need to be reprogrammed. Call now to schedule an appointment with America’s no. 1 garage door company! 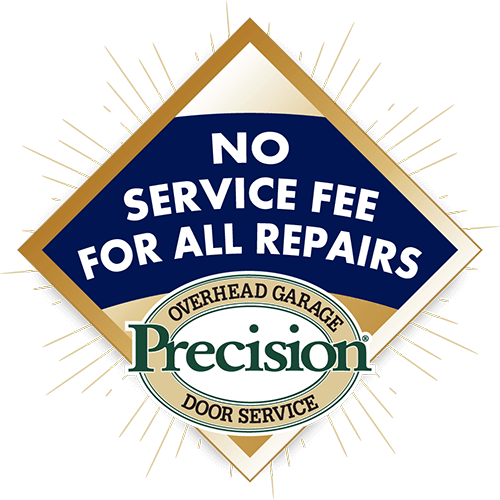 If you are having trouble with your garage door opener or remote, Precision Door Service of Myrtle Beach can help. Our technicians service models from Genie, Liftmaster, Chamberlain, and other major brands, and we can fix your problem right – the first time. For more information, contact us today.